Handmade silver earring from Jaipur India. 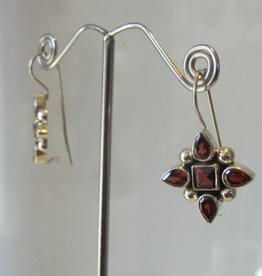 2,50 cm long excluding the ear hook, three hand facetted garnet stones surrounded by nicely opencut silver ,The stones are not closed from behind letting light shine through them and to enhance the stones working. 2,25 cm long not counting the ear hook and hanging pearl. 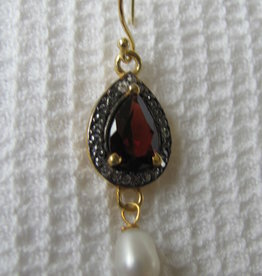 teardrop shaped hand faceted garnet surrounded by tiny zircons. Little pearl is hanging underneath. Material is silver with an electroplated gold layer. Elegant earring 2,5 cm long not counting the ear hook . Faceted garnet. Material is silver with an electroplated gold layer. 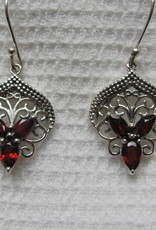 Handmade silver earring from Jaipur India. 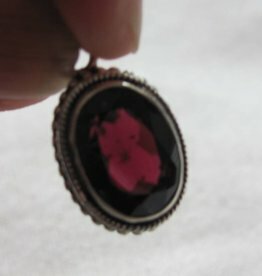 2 cm long excluding the ear hook.. Has a hand facetted garnet stone ,. 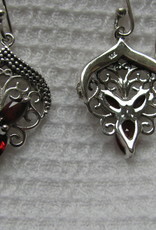 The stone is not set with silver letting light shine through them and to enhance the stones working. Pendant 2 cm long excluding the loop. 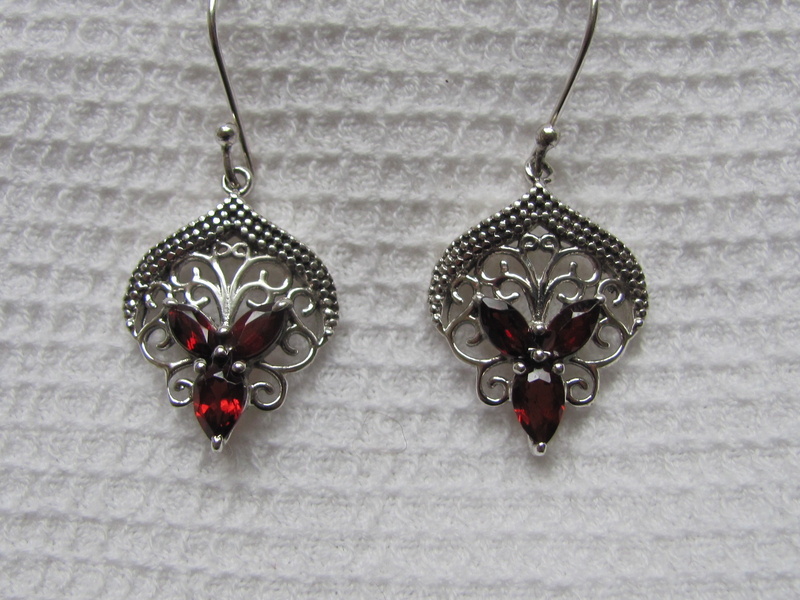 Beautiful garnet stone is hand faceted and set in finely adorned silver by a master silver smith with great working conditions in Jaipur. Fairly made. 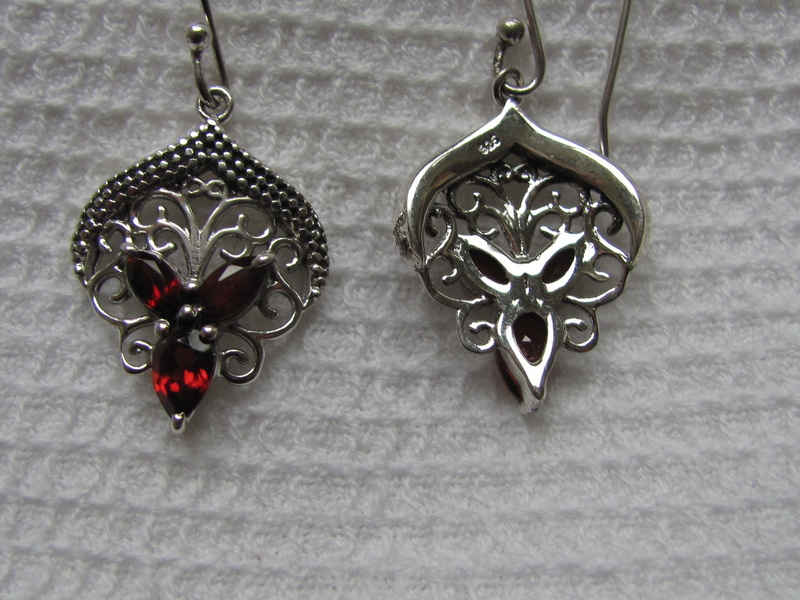 Dormeuse type earrings from fine silver and set with facet cut garnet stones. 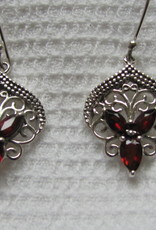 Earrings and stones are all executed by hand in good working conditions in Jaipur. Including integrated hook measures 3cm in length. 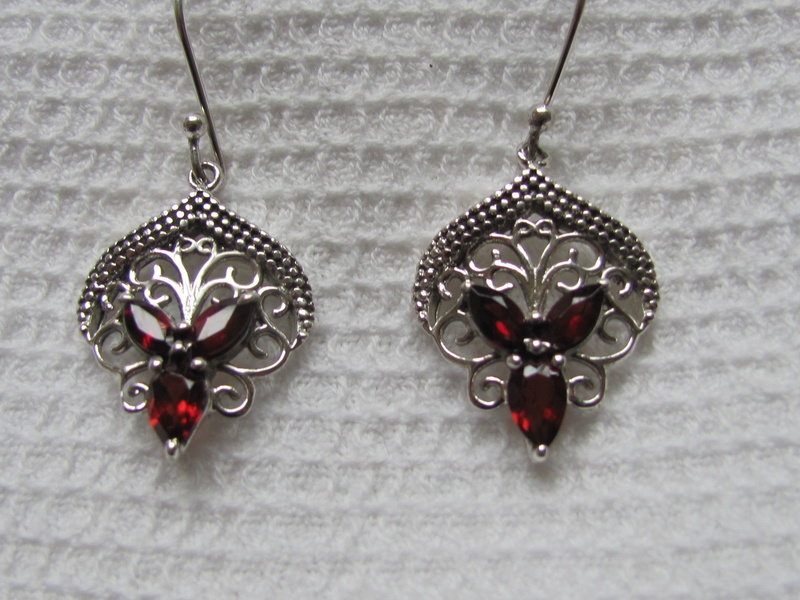 Earring silver garnet dormeuse model. Five beautiful hand faceted garnets. 2 cm wide and 3cm long including the integrated hook. Fairly made.